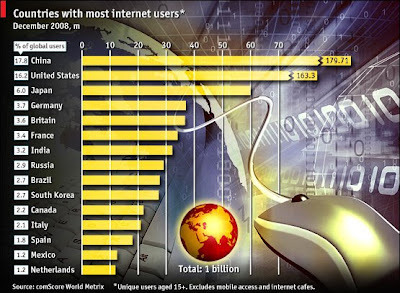 India is 7th as per latest survey of Internet users which is not counting Mobile users and cybercafe users. I am sure it will overtake most of the Europe countries if these restrictions are removed. With these restrictions too, India will dominate them in couple of years !